Dealers in Hardware, Stoves, Paint, Furniture and Agricultural Implements. 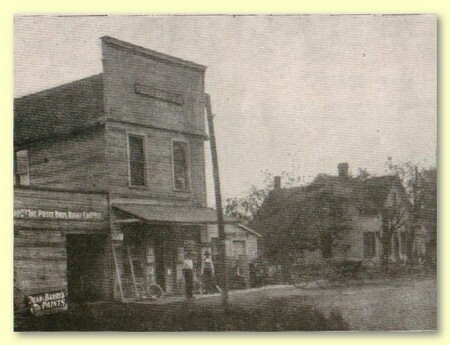 This firm is composed of F. D. and M. C. Edwards, both natives of the county, and well-known as merchants and men of business throughout the section around Big Plain. Edwards Bros. have really been established about three years, J. W. Hume, being the first proprietor of the store, but three years ago Mr. Hume retired and M. C. Edwards took an interest. J. D. is now the active manager, while Mr. M. C. Edwards looks after his store in Derby. Both gentlemen enjoy the confidence of a wide circle and have a large business which grows year by year. They also represent J. A. Baer, the undertaker of West Jefferson, and attend promptly to all calls for funeral directors.